Santa Cruz, CA-based mixed media artist Robert Larson has become known around the world for his innovative style of visual communication which features explorations in found object assemblage. Working with discarded Marlboro cigarette packages, for example, Larson has created large-scale paintings using elements of the semi-decomposed packages, carefully composed to create works of great beauty. Learn more about his work here. 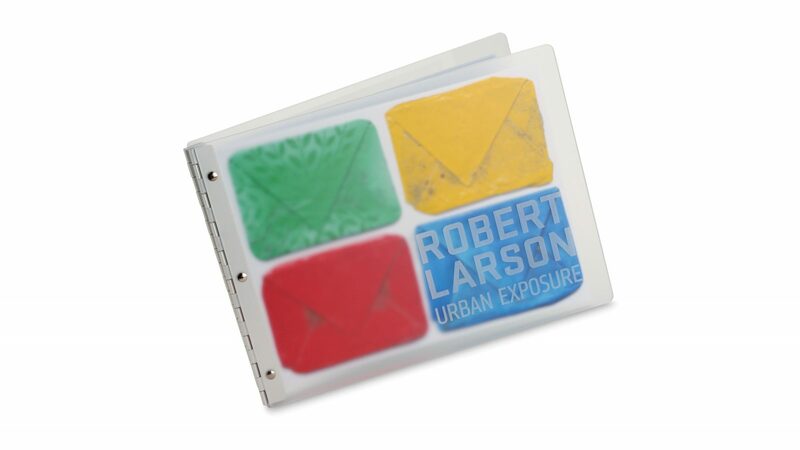 To catalog and present his work, Larson uses a series of custom-etched Vista Mist Screwpost Binders with Pro-Archive Sheet Protectors. Each of the seven books in the collection features one of the types of materials used in his work.